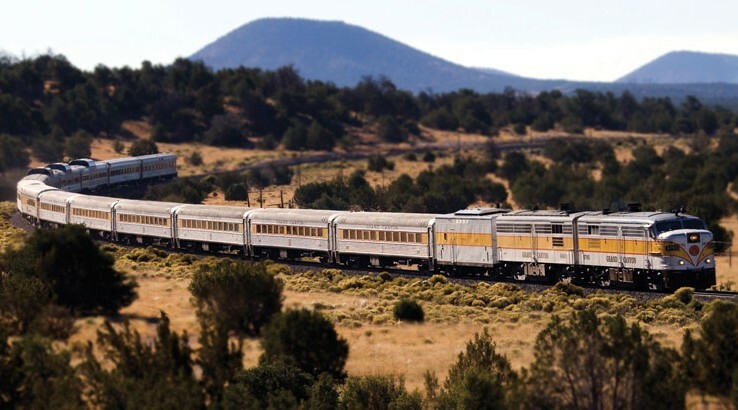 All Aboard the Grand Canyon Railway! on the vintage Grand Canyon Railway train from Williams, Arizona to Grand Canyon National Park. The railway boasts a selection of activities and an atmosphere that will appeal to children, their parents and grandparents alike. history, enjoying a ride on the locomotive, and viewing one of the world’s more spectacular sights. While aboard the train, watch as outlaws have a shootout with the local sheriff, sing along with the musicians who wander the train, and don’t be surprised if robbers try to steal from you. operates the Grand Canyon Railway Hotel located steps away from the Williams Depot. 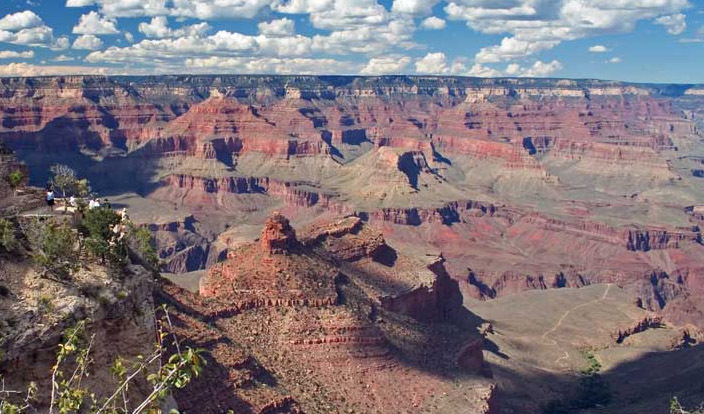 The resort offers great retail and dining options, as well as multiple vacation packages, making the hotel the perfect addition to a Grand Canyon vacation.